Tri-Cities Custom Home vs. Production Home: What’s the Difference? Have you heard of both custom homes and production homes and are wondering which design approach is best for you? Many people in the Tri-Cities area deal with that same choice. Let’s start by defining each concept and then, move on to the advantages that each offer you. Finally, we’ll discuss a potential compromise and how this doesn’t necessarily have to be an either-or choice. A custom built home is a unique construction designed from the ground up that you build on your lot. An architect will develop a floor plan based on the needs and wants of the client, and a custom home builder will work with the architect in order to turn that vision into a reality. There are certain advantages and challenges that come with a custom built home because it uses a floor plan that has never been built before. Production homes use pre-established floor plans. If you walk into a community where every home looks virtually the same, you’re probably looking at the work of a production home builder. An architect is generally not required unless some aspect of the plan has to be adjusted. As opposed to the custom home builder, the production home builder has built this floor plan numerous times. That repetition and experience allows for these to be built on a faster schedule and often a very consistent manner. What are the Advantages of a Custom Home? The greatest advantage of a custom home is the complete freedom it provides you. It truly is a blank canvas upon which you can create. From choosing the number of and size of bedrooms to picking out flooring, features in the home, lighting fixtures and other specifics, you can make every choice and make them so that the home truly fits your personality and your needs. The only limitations are practical ones, such as your budget. This also means that the process is much more intensive, and there is a lot of responsibility on the client that comes with having to make all of these choices. What are the Advantages of a Production Home? The two main advantages to a production home are time and cost. As mentioned, since production homes use proven floor plans, construction teams can erect and finalize these in a fast manner. Additionally, the builder is able to negotiate with suppliers for bulk savings. So, while your choices are more limited, you benefit from savings as well as confidence that the materials will be available. Is There a Hybrid Between a Production and Custom Home? Yes. Your custom home builder understands the advantages of a production home and can incorporate many of them into your custom home. For instance, you might be able to use an existing blueprint to save on the costs of an architect. Or, you might be willing to use more “stock grade” finishes in one room in order to reserve your budget to spend on higher end materials in another room. 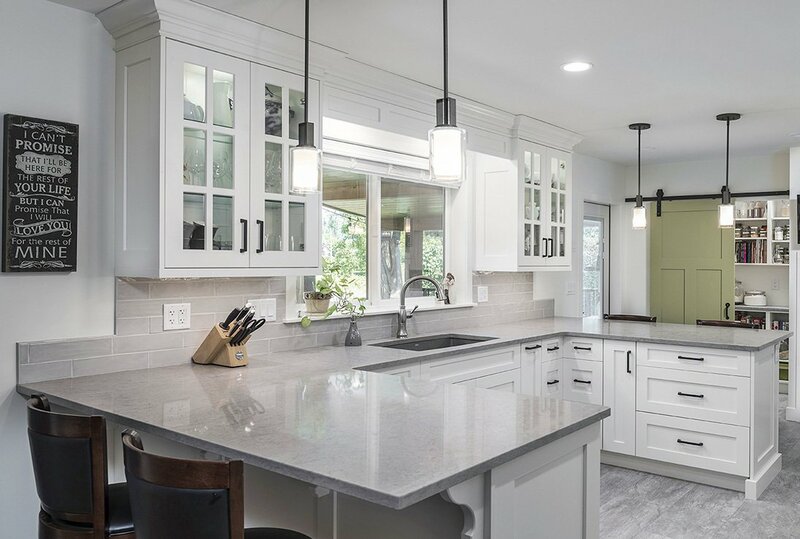 Custom home builders like Alair Homes have also secured discount pricing on materials with many reputable suppliers, and this means they can often offer the same savings as a production builder depending on the materials you choose. The concept of a production home and a custom built home can blur, and you can lean into one concept or the other depending on your needs and wants in a particular area. Whether you’re looking to build a budget-friendly home or a million dollar mansion, Alair Homes Tri-Cities is here to help. Contact us to schedule your consultation where we can learn more about your goals and help you to realize them by building the home of your dreams. 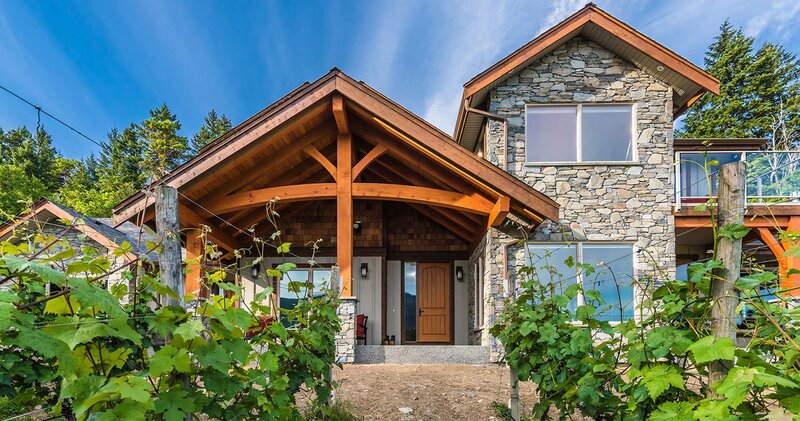 March 9, 2019 Building a Home to Entertain In March 2, 2019 Luxury Features for a Masterpiece Home January 30, 2019 Tri-Cities Custom Home vs. Production Home: What's the Difference?